You are here: Home / Featured Articles / Why Invest In Performing Notes? Investing in mortgage notes can be a powerful addition to your investment strategy. Mortgage notes backed by real estate is an alternative real estate investment opportunity that is plentifully available when the market is strong as well as when the market is suffering. Although they have some sensitivity to interest rates, mortgage notes backed by real estate (“notes”) are non-correlated with stocks or bonds and are therefore not affected by the performance of those two asset classes. 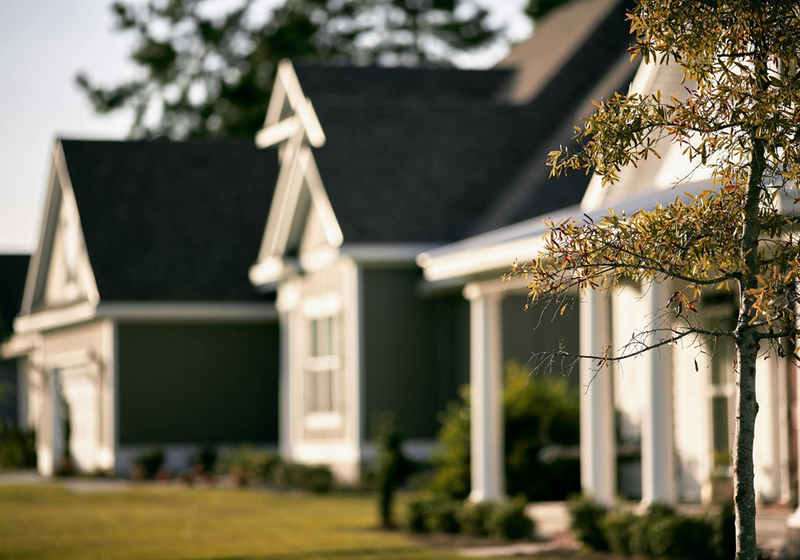 Notes produce income from the underlying mortgages, and the investor also benefits from the “collateral gap” between the amount paid to purchase the note and its value when the note is paid off or refinanced, or if the home is sold. The mortgages are typically purchased from lenders at a discount. The biggest differences are depreciation and appreciation. From a tax perspective, there are no depreciation advantages with notes. As for appreciation, the face of the note is the face of the note, but sometimes when purchased at a discount, there can be a “phantom appreciation” because note values directly correlate to property values. When real estate values go up the value of the notes go up. Another plus with purchasing a note is that you don’t need any credit, or have to “qualify” like you would have to do for a mortgage to purchase real property. Many new note buyers are afraid of the “F” word, Foreclosure. If a tenant of a rental property doesn’t pay rent you have to take the tenant to court by filing for eviction. Not only do you lose rent, but you have to evict them, pay court costs, fix the property and re-rent the unit. Usually, without recourse since many tenants do not have assets. With a homeowner, if they miss any payments and there’s equity in the property, you can collect the missed payments, late fees, corporate advances and any attorney fees. By attaching these items onto the loan balance, per your loan documents, you will recover these fees at some point, as long as there’s enough equity. There’s also a significant difference between a homeowner’s mentality and a tenant’s mind set. The homeowner usually has more invested into the property like “pride of ownership” and “sweat equity”. With a note and mortgage, you have a secured lien. The risk is relatively moderate, especially with equity to protect the mortgage. “It’s better to have a bad loan with equity, than a bad tenant “. Mortgage notes with a 30% equity cushion are a safe and highly collateralized investment. Notes tend to be easier to manage than real property. As an investment, they also tend to be more passive. In effect, a note turns tenants and toilets into mail box money. Wells Fargo or Bank of America do not get calls about plumbing leaks. Location doesn’t tend to be as big of a factor when owning the note. It’s easier to own notes in areas that you might not want to buy and hold real estate, especially short term. There’s often less liability and responsibility with owning notes. With notes, not only do you tend to avoid dealing with tenants, contractors, and townships, you also tend to avoid issues with vacancies and maintenance. Notes and mortgages usually offer comparable returns to hard Real Estate Investing after factoring in management and maintenance. Non-performing notes or notes bought at a discount can even exceed today’s Private Money mortgage yields that can range from 8%-18% plus discount points. So just like Real Estate, you make more money when you buy and you can make even MORE money when you rehab the note (just like rehabbing the property). And let’s not forget, there’s a lot less competition when you’re a “lien-lord” versus a landlord because other than large hedge funds there are fewer individuals working today in the note space. The reason there’s such a high probability of achieving superior returns with notes is that they can be purchased at a discount. When purchasing notes at a discount, you make your money when you buy. Your profit is derived from the banks’ inefficiencies. You don’t usually make money off the borrower’s equity. Another opportunity, one that is not well known is either buying or selling a partial. When an investor purchases all the remaining payments it is considered a full purchase. When an investor purchases just a portion of the remaining payments it is considered a partial purchase. In effect, it is a 1st on a 1st. Once you have bought one cash flow, it’s easy to go to the performing payor and negotiate the next stream since the paperwork done on the initial deal saved. Typically the buyer of the partial gets paid before the assignor gets theirs. If the collateral is sold or goes through foreclosure the remaining balance goes back to the partial note buyer then to the partial seller. For example, a note has a balance of $100,000 at 10% interest payable in monthly installments of $878 with 360 months (or thirty years) of payments remaining. When the seller sells all 360 remaining payments of $878 to an investor it would be considered a full purchase. If the investor only sold the first 132 monthly payments of $878 each for $69,900 to a partial investor thus considered a partial sale. Once the partial note buyer received the next 132 months of payments, the note would be reassigned to the investor and the investor would collect the remaining 228 payments (360 total payments fewer investors partial sale of 132 payments leaves 228 payments remaining to the investor). The back end – remaining payments could be placed in the investors Roth IRA. One can maximize the return on investment by accelerating a settlement. It is not uncommon that a note/mortgage may be paid off early either with a refinance or property sale, the notes paper work would reflect the following. Assume an early payoff after 60 months. The UPB is $97,574. It is split between the investor and the partial note buyer investor. The partial investor receives $47,291 and the investor receives $49,283. The typical note buyer can manage more loans than properties. Loan counselors can handle as many as 15-25 loans per month. How many properties a month can a real estate investor handle? 25/month is unlikely. Loan Servicers are more affordable than real estate property managers. Property managers can be anywhere from 8-10% of gross rents, sometimes lower if given a large number of units and they often charge one month’s rent to find a tenant. Loan servicers, on the other hand, have a one-time setup charge of @ $25-$100 or so, and monthly fees can range from $10-25/month. There can be similar monthly cash flow on a performing note, as there is on a typical rental property. Many times, real estate investors leave a substantial amount of money in a property, in the form of sweat equity, (70-80% LTV). You can do almost anything with a note that you can do with real property. You can flip or wholesale a note. You can rehab a note. Turn a non-performing note into a performing asset. You can refinance the borrower. You can sell the note. You can borrow against the note since it’s an asset, also known as a Collateral Assignment. Increase your IRA or retirement account returns by using these funds to invest in notes. Increase your cash flow from equity in real property. You can borrow against the equity in a property and invest in a note to increase your return from that same property. Increase your return on investment (ROI) on equity when selling real estate by offering terms. For example: “Holding Paper” or “Owner Financing”, Carrying a second mortgage, often allows the seller to achieve a higher selling price. Better financing and leverage when buying real estate through the use of Notes and Seller Financing. You can get a higher return (ROI) on a rental property if the seller assists the buyer with financing. Private Notes used for “Rehab Loans”, are usually more affordable than a “Hard Money” lender. Click to contact us so we can arrange a time to talk to discuss your unique needs. We look forward to speaking with you and seeing how note investing makes sense for your investing objectives!